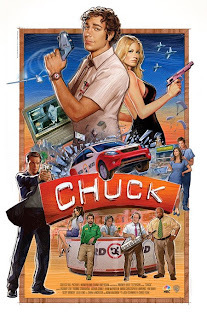 Watch Chuck. Watch Chuck. Watch Chuck. Watch Chuck. Watch Chuck. I don't know who did this poster, but it sure looks like Drew Struzan with the style of the painting. And that is a very, geeky, cool thing.